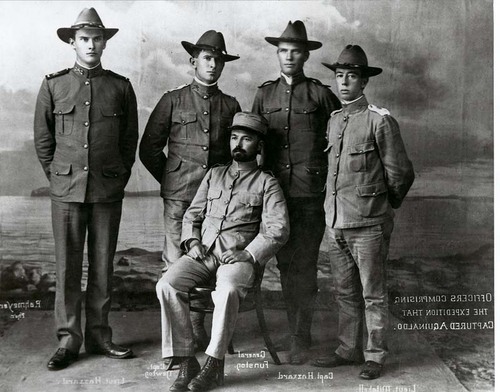 Portrait of the officers who commanded the expedition that captured Filipino leader Emilio Aguinaldo on March 23, 1901 during the Spanish-American War. They are identified as: (left to right) Lieut. Mitshell, Capt. Hazzard, General Funston, Capt. Newton, and Lieut. Hazzard.